In wireless networks, for communication between the transmitting and receiving nodes, neighbouring nodes are recruited. For co-operative transmission of data, Co-operative communication protocol and Co-operative along Non-cooperative path (CAN) have been found to be the energy efficient protocols over the two non-cooperative schemes-one path and disjoint paths. This is applicable to grid and random topology for energy saving up to 80% and 40%. Minimizing the Maximum used Power Routing Algorithm (MMPR) is the proposed energy aware routing protocol which minimizes the total energy consumption and link cost. Moreover, MMPR performs an optimization used in the LPF-Based-Re-Routing (LPF-RR) which finds route for minimizing the maximum link utilization in Traffic Engineering (TE) and uses utilized energy as a metric of cost equation. MMPR is also used in Mobile adhoc network (MANET). Ranjitha R, P Gomathi. "MMPR Based Energy Efficient Protocol Used for Wireless Co-Operative Networks." 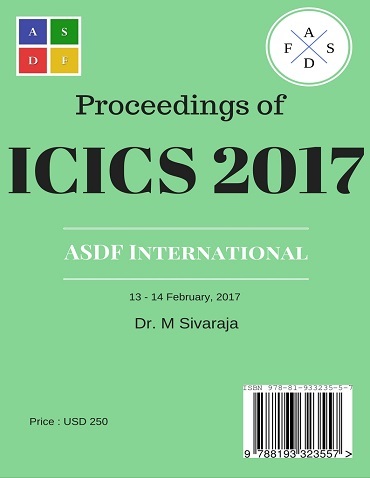 International Conference on Intelligent Computing and Systems (2017): 25. Print.